Blog by Kathy’s Centre Head Teacher, Basil Amatre. Travis is 5 years old and is among the pioneer learners here at Kathy’s Kindergarten. He is a bright young learner and makes us feel proud of him as teachers, but another interesting factor is, he is the only boy in his class of 8 classmates in his age group. The rest of his group are female, a fact that we are delighted about as girl’s education is not a high priority for our community. Helen and Travis play in the home corner on one of their first days at Kathy’s Kindergarten. Travis is the first born, only child, living under the care of his mother in Mayuge town. Travis’s father works away from home. “I feel Kathy’s Kindergarten is playing a very great role in shaping my child’s personality at this early age of his childhood, as well as building his foundation towards a bright future through the education that he is acquiring.” said Travis’s mother, Prosy. Prosy further notes that before Travis joined Kathy’s Kindergarten, he had very low self-esteem. 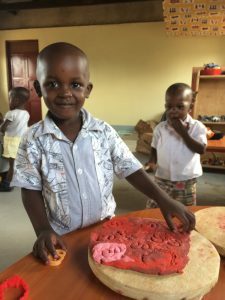 She is thankful that the all-round curriculum being offered at Kathy’s Kindergarten, has shaped him to what he is now, “a confident, curious and enthusiastic learner”. 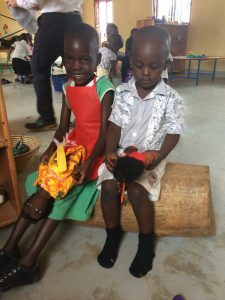 To support Kathy’s Kindergarten please make a donation through our Global Giving project Giving Early Education and Hope to 20 Ugandan Children. Set up a monthly donation and your first one will be 100% matched by Global Giving (donations must be recurring for at least 4 months to receive 100% match). 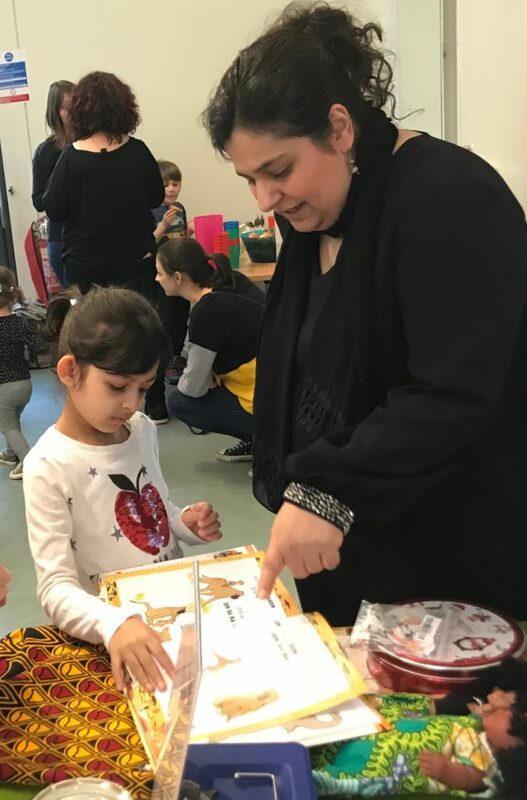 UK Volunteer Zohra Meghji tells us why she chooses to volunteer with Act4Africa in the UK and some of the things she and her family have enjoyed doing. It’s been just over a year since I started volunteering at Act4Africa. Everyday at the office is different, I help with everything from Accounts, Admin, website editing to organising fundraisers. The Act4Africa team is amazing, everyone puts 100% into their job and I feel so privileged to be part of it. I was born in Tanga, Tanzania, where the education system and medical facilities are still being developed. In my community, girls are normally married and pregnant when they celebrate their sweet 16th. I remember turning 21 and being told I have been left on the shelf, that I would not get proposals from decent guys because I was too old. Life in the city has progressed; however, rural places in East Africa are still the same due to lack of facilities and poverty. I was lucky in that I have an amazing family who not only supported me financially but were really encouraging when it came to getting a higher education. I cannot thank them enough for giving me this opportunity to have control over my future. However, very few get the opportunities I have had. When I see my daughters, I see how privileged they are, they have every toy they ask for. It used to make me sad that my children didn’t understand how lucky they were, that they didn’t value the stuff they had. I have seen kids as young as my 7 year old selling peanuts on the street, these children used to scrunch up carrier bags and tie them up to make a football because they didn’t have money to buy one. Through Act4Africa, I came across Alistair Bryce-Clegg (ABCDoes), an Early Years Consultant who has organised making doll dresses for the kids at Kathy’s Centre. 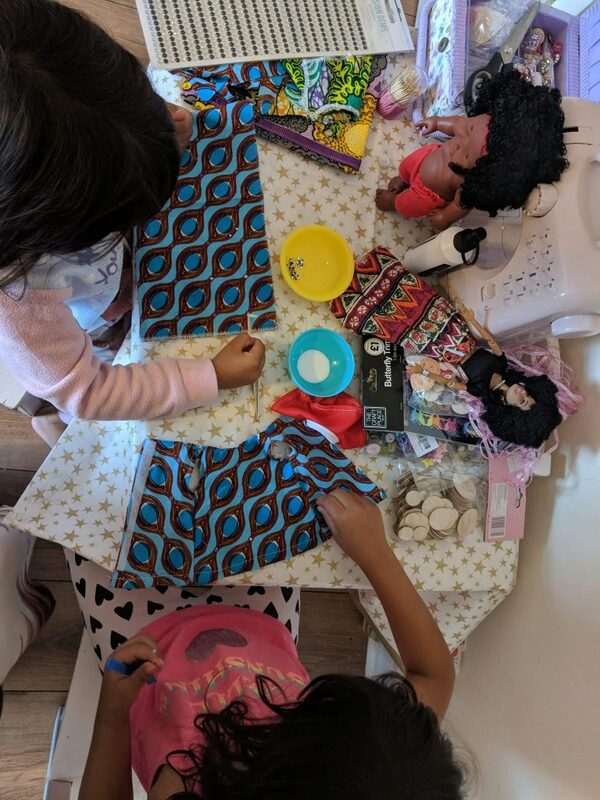 Sahar (my 7 year old) made 2 dolls dresses and a skirt during the 2018 summer holidays; it has been great sharing this experience with my daughter and we have had a look at the photos of Kathy’s Kindergarten on the Act4Africa website to see exactly where the dolls and clothes will go. Suhana, my 4 year old and I have put together a book bag with hand puppets as our February half term project. Alistair’s latest project is to encourage volunteers to make crochet dolls for him to squash into his suitcase for his next trip to Kathy’s Centre in July. Follow him on Instagram, Facebook or Twitter for more details @abcdoes. To enable us to provide much needed educational resources and play equipment to Kathy’s Kindergarten, please donate. Act4Africa, is a very small charity which makes it easier to build a relationship with the teachers and girls in Uganda. Sarah is in constant contact with the staff in Uganda, she knows what is going on with the children at the kindergarten, how the girls (supported through the Grow A Girl program) are doing at school and if staff have been ill or if there are any issues. It makes me feel so good to see how we are making such a big difference to these little people who are going to shape the future of Africa. Micheal shares more on his experiences in the hospital departments during his medical elective in Jinja, Uganda. He demonstrates how different medical services are in rural Africa in comparison to the UK.